We’ve found this amazing recipe from seriouseats.com, and it has blown us away. 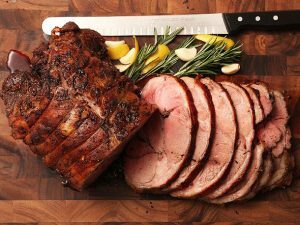 The slow-roasted boneless leg of lamb is tender and juicy with a crisp, well-browned crust flavoured beautifully with garlic, rosemary, and lemon. Go on, give it ago! Adjust oven rack to lower-middle position and preheat oven to 275°F. Heat olive oil in a small saucepan over medium heat until shimmering. Add garlic, shallot, anchovies, rosemary, lemon zest, and red pepper flakes. Cook, stirring occasionally, until shallots and garlic are softened, about 5 minutes. Transfer to a small bowl. Add salt and pepper and mix with a fork to combine. Rub half of mixture into inside of butterflied lamb leg. Roll leg and tie securely at 1-inch intervals with butcher’s twine. Rub remaining mixture over exterior of lamb. Cook immediately or let rest uncovered in the refrigerator for up to one night for best flavour and texture. 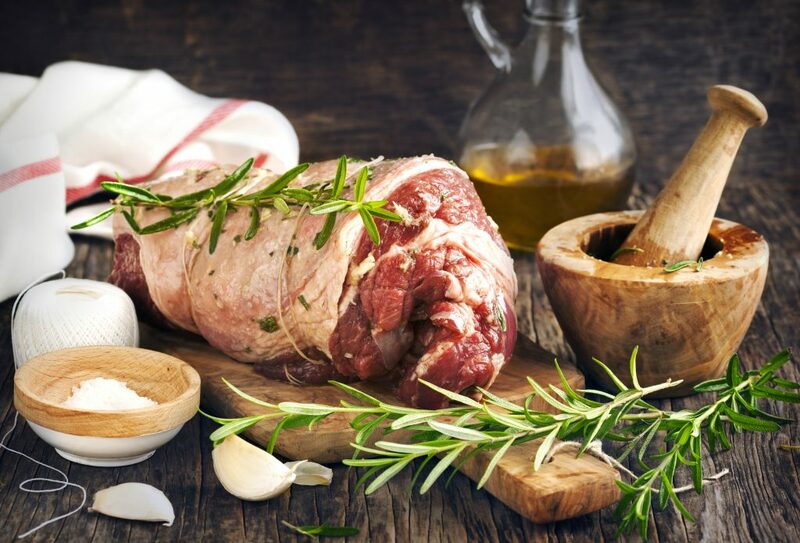 When ready to cook, place lamb on a wire rack set in a foil-lined rimmed baking sheet. Transfer to oven and roast until an instant read thermometer inserted into coolest section of lamb registers 125° to 130°F for medium-rare, or 130° to 135°F for medium, 3 to 3 1/2 hours. Remove from oven and let rest for 40 minutes. While lamb is resting, increase oven temperature to 500°F. Return lamb to oven and roast until exterior is deep brown and crisp, about 15 minutes. Remove from oven and let rest 5 minutes. Remove twine with kitchen shears, transfer lamb to cutting board, slice into 1/4 inch slices, and serve with your usual Sunday veg. Note, you may not like anchovies or think they are really fishy, but in this marinade they really bring out the meatiness of the lamb without overwhelming it with any kind of fishy aroma, go on, give it ago, it will surprise you.